We are excited to announce our new partnership with Catherine Putnam of Carlson’s Umatilla Drug! 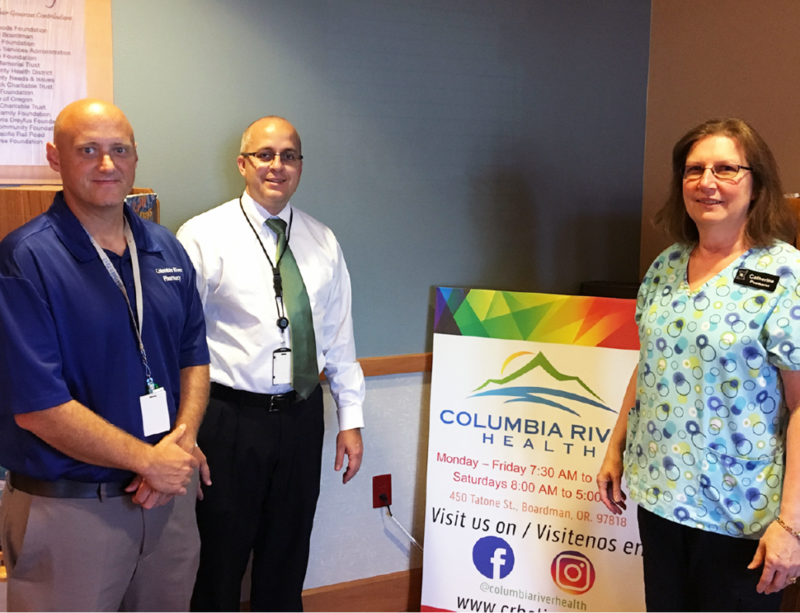 As of October 2018, Carlson’s Umatilla Drug is now part of the Columbia River Health family. This allows us to expand our discounted medication program to cover Carlson’s Umatilla Drug (now Columbia River Pharmacy). The pharmacy may look and feel a bit different, but don’t worry, you’ll still be seeing Catherine and you’ll still receive the same excellent service.